The first part of my interview with Michael David Wilson and Bob Pastorella of This Is Horror is now available for everyone, not just Patreon contributors, HERE. The whole conversation was a lot of fun, and this represents just the first half, so there will be more in another week our so. In this part we talk about focusing on creative work, and sometimes taking a break from it, differences between music-making and writing, and the nuts and bolts of assembling a short story collection… among other things. It’s been quite a week for reviews of The Lure of Devouring Light. First S.T. Joshi, then John Claude Smith. This morning, Benoit Lelievre has posted a review on his blog, Dead End Follies. Lelievre also references points brought up in previous reviews by Bob Pastorella at This Is Horror, and this week’s controversial Joshi review. It’s always interesting to see the ways different reviewers see the same book — not just whether they like it or don’t, but which pieces they hold up as particular strengths, and what aspects they consider to be weaknesses. I believe the best way to get a sense of any given book is to read many reviews of the same work in different places, and I’m very pleased to see my book receiving such a variety of coverage. My thanks to Benoit Lelievre for this review. Lovecraft historian and biographer S.T. 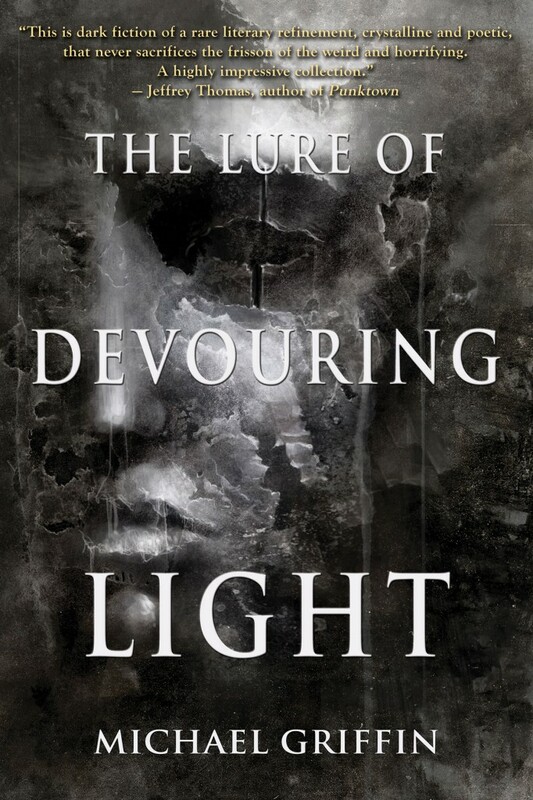 Joshi has reviewed The Lure of Devouring Light on his blog, HERE. I meant this, and was not trying to be snippy, or to score points. What I didn’t anticipate was that over the following 24 hours, an eruption would occur of anger at Joshi’s review, partly for the more harshly negative of his statements regarding my book, but mostly for a few nasty personal asides about Laird Barron and Scott Nicolay. These reactions by others didn’t exactly surprise me, because I recall instances when S.T. Joshi’s reviews and comments have inflamed many in the Weird Fiction, Lovecraftian and Horror Fiction communities. Though I understand people taking issue with insults toward different writers sprinkled into a review of my book, I should make clear that as pertains to the portion of the review that was actually a review of my book, I have no problem with the negativity. Writers must accept with equanimity the harsher judgments that fall upon them if they wish at other times to bask in whatever praise they might receive. The two go together. This whole matter led to a flood of people reaching out to me with comments, or tagging me on social media posts of their own. A wonderful side effect was that many people let me know how much they had enjoyed The Lure of Devouring Light, which they may not have bothered to tell me if this hadn’t happened. Best of all, many others stated that the discussion had inspired them to order the book for themselves. Maybe it will lead you to buy the book and read it, if you haven’t, or review it, if you have!